Since winning the Pulitzer Prize for his New York Times-bestselling historical biography, Washington: A Life, Ron Chernow remains a distinguished commentator on politics, business, and finance. The National Book Award winner illuminates the life and times of some of America's most significant historical figures and discusses the art of biography writing. Chernow was also the historical adviser to the Pulitzer Prize-winning musical Hamilton , which was inspired by his bestselling biography. He is a recipient of the 2015 National Humanities Medal. 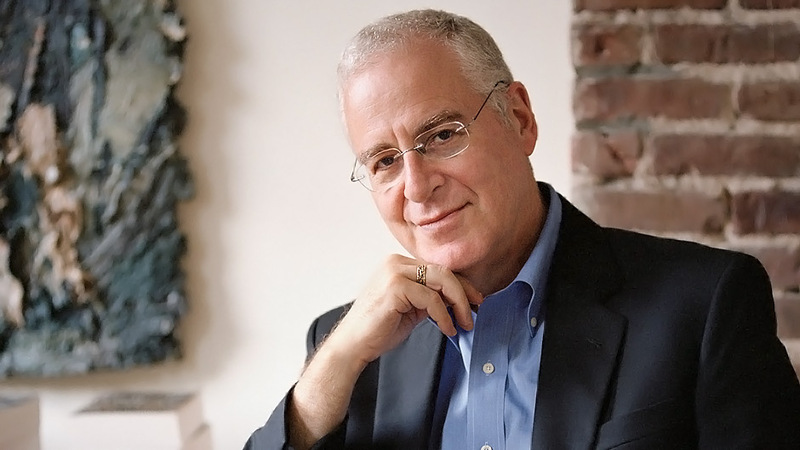 An honors graduate of Yale and Cambridge, Ron Chernow is one of the most distinguished commentators on history, politics, and business in America today. He has won virtually every major prize in American letters. The Washington Post has cited him as one of the “five most important public intellectuals in America today.” The St. Louis Post-Dispatch has hailed him as “one of the pre-eminent biographers of his generation” while Foreign Affairs magazine termed him “one of the finest biographical writers in American history.” Fortune magazine dubbed him “America’s best business biographer.” In September 2017, President Obama conferred upon him a National Humanities Medal at the White House. Mr. Chernow’s much anticipated biography of Alexander Hamilton was published in April 2004 to extraordinary acclaim. The New York Times praised it as “moving and masterly…by far the best biography ever written about the man,” while USA Today hailed it as “a must-read. Ron Chernow’s masterpiece.” The New York Review of Books called it a “great biography.” Excerpted by Business Week and chosen as the main selection of The Book-of-the-Month Club and the History Book Club, the book spent three months on the New York Times bestseller list and was the first recipient of the George Washington Book Prize for the year’s best book about the founding era. It was nominated for a National Book Critics Circle Award in biography. In October 2010, Mr. Chernow’s long-awaited biography of George Washington, Washington: A Life, appeared to outstanding reviews. It was the main selection of the Book-of-the-Month Club as well as of the History and Military Book Clubs. Writing in The New York Review of Books, Gordon Wood praised it as “the best, most comprehensive, and most balanced single-volume biography of Washington ever written.” Excerpted by the Smithsonian magazine, the book spent five weeks on The New York Times bestseller list. The Wall Street Journal named it one of the year’s ten best and it was nominated for the Los Angeles Times Book Prize in History. In March 2011, the New-York Historical Society gave the book its coveted American History Book Prize for the best volume about American history published in 2010, endowing Mr. Chernow with the honorary title of American Historian Laureate. In May of that year, Washington: A Life was honored with the Pulitzer Prize in Biography, the highest honor reserved for a writer in the field. Starting in 2008, Mr. Chernow began working with Lin-Manuel Miranda as the historical consultant on the sensational Broadway musical “Hamilton,” inspired by his biography of Alexander Hamilton and considered the biggest Broadway hit of the past fifty years. In May 2015, as a member of the show’s creative team, he received the Lucille Lortel Award for Outstanding Musical—the first time he had ever received a theater award. The show was nominated for a record-breaking 16 Tony Awards, winning 11 of them. In November 2015, Mr. Chernow and Mr. Miranda jointly received the History Makers Award of the New-York Historical Society for their work together on the acclaimed show and were also honored at the National Archives in Washington. That same month, Mr. Chernow’s biography of Alexander Hamilton returned to The New York Times bestseller list. It has sold more than two million copies, making it one of the best-selling biographies of all time. Mr. Chernow’s work has been translated into fifteen languages. After the publication of Grant, Mr. Chernow received the Common Wealth Award for Literature, the Richard Nelson Current Award of the Lincoln Forum, and the Fletcher Pratt Award of the Civil War Round Table for the year’s best nonfiction book on the Civil War. In May 2018 he became one of only three living biographers to receive the Gold Medal in Biography, awarded every six years by the American Academy of Arts and Letters, the highest form of artistic recognition in the field. Grant was also nominated for four major literary prizes: the PEN/Jacqueline Bograd Weld Award for Biography, sponsored by PEN America; the Plutarch Award, conferred by the Biographers International Organization; the Gilder Lehrman Lincoln Prize, given by Gettysburg College and the Gilder Lehrman Institute of American History; and the Los Angeles Times biography prize. The New York Times named Grant one of the ten best books published in 2017, as did New York Newsday and many other publications. 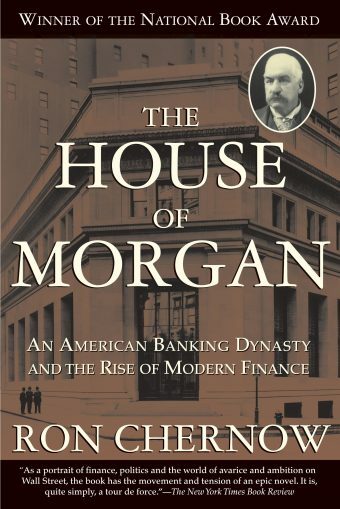 Saying “Grant is Great,” Bloomberg News referred to it as one of the must-read books of the year. On the last day of 2017, President Barack Obama listed Grant as one of the best books he had read during the year. The book debuted at number one on The New York Times hardcover bestseller list and stayed at or near the top of the list for more than four months. At the same time Alexander Hamilton shot to number two on the paperback bestseller, spending more than one hundred weeks on the list. Grant was the best-selling nonfiction book of the 2017 holiday season, having gone through nine printings in a little more than two months. The film rights to Grant have been bought by Lionsgate, the prestigious Hollywood studio, and Appian Way, the production company of Leonardo DiCaprio. The movie will be directed by Steven Spielberg with Mr. Chernow as the historical adviser. Mr. Chernow will also serve as executive producer to a six-part documentary series on Grant scheduled to air on the History Channel in 2019. 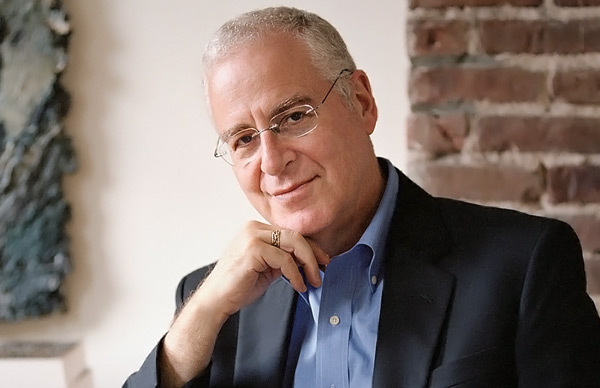 A frequent contributor to The New York Times and The Wall Street Journal, Mr. Chernow is a familiar figure on national radio and television shows and has appeared in numerous documentaries. He has served as president of PEN American Center, the country’s preeminent organization of book authors; has sat on the board of the Society of American Historians and Humanity in Action, a global human rights organization; is a fellow of the New York Academy of History; and is a member of the American Academy of Arts and Letters and the Century Association. He has received eight honorary doctorates: from Marymount Manhattan College, Hamilton College, Long Island University, Washington College, Skidmore College, Muhlenberg College, Niagara University, and Lafayette College. He has received the lifetime achievement award of the Biographers International Organization and in October 2018 he will receive the Chicago Tribune Literary Prize, which honors “a great writer who has made an enduring contribution to the world.” On three occasions he has been a clue in The New York Times crossword puzzle and once was even a clue on Jeopardy. Mr. Chernow resides in Brooklyn, New York. The best, most comprehensive, and most balanced single-volume biography of Washington ever written. Truly magnificent… [a] well-researched, well-written and absolutely definitive biography. A truly gripping biography of George Washington… I can’t recommend it highly enough—as history, as epic, and, not least, as entertainment. It’s as luxuriantly pleasurable as one of those great big sprawling, sweeping Victorian novels. A splendid life of an enlightened reactionary and forgotten Founding Father. Literate and full of engaging historical asides. By far the best of the many lives of Hamilton now in print, and a model of the biographer’s art. A brilliant historian has done it again! The thoroughness and integrity of Ron Chernow’s research shines forth on every page of his Alexander Hamilton. He has created a vivid and compelling portrait of a remarkable man—and at the same time he has made a monumental contribution to our understanding of the beginnings of the American Republic. Alexander Hamilton was one of the most brilliant men of his brilliant time, and one of the most fascinating figures in all of American history. His rocketing life-story is utterly amazing. His importance to the founding of the new nation, and thus to the whole course of American history, can hardly be overstated. And so Ron Chernow’s new Hamilton could not be more welcome. This is grand-scale biography at its best—thorough, insightful, consistently fair, and superbly written. It clears away more than a few shop-worn misconceptions about Hamilton, gives credit where credit is due, and is both clear-eyed and understanding about its very human subject. Its numerous portraits of the complex, often conflicting cast of characters are deft and telling. The whole life and times are here in a genuinely great book.